Harold Boyett is president and chief executive officer of Blue Streak Couriers. Harold began his career in transportation at the age of 18, working part time at UPS while attending college. He graduated from the University of North Florida in 1993 with a bachelor’s degree, double-majoring in the fields of management and marketing, with a minor in international business. He continued his education at UNF while working full time at UPS and obtained his master’s degree in 1998. His twenty-year career encompassed operational and business development responsibilities. Harold left UPS in 2005 to follow his dream of business ownership and purchased Blue Streak. 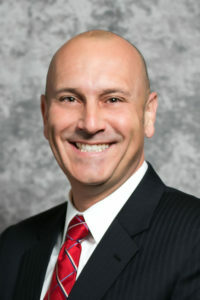 The company has grown and expanded under his leadership and operates throughout Florida and Georgia, as well as portions of several other states. Blue Streak is a member of the Customized Logistics and Delivery Association, the Express Carriers Association, the Texas Courier and Logistics Association, the California Delivery Association, and the Florida Messenger Association, where he currently serves on the board of directors. Several recent awards are testament to the success of the company. Blue Streak was included on the Jacksonville Business Journal’s list of the 50 Fastest Growing Privately Held Companies for several years in a row. In addition, Blue Streak was a recipient of the 2011 Florida Companies to WatchSM award. Blue Streak is currently being featured on the US Small Business Administration website as one of 100 small businesses which have hired at least 100 people since first obtaining assistance from the Small Business Development Center. In 2006, Boyett was named as one of Jacksonville’s “Top 40 Under 40” by the Jacksonville Business Journal. Blue Streak supports several charities including Dreams Come True, the American Heart Association, and The Pulse, an organization targeting under-privileged, at-risk children. Harold is a frequent guest speaker in entrepreneurship classes held in the University of North Florida’s Coggin College of Business, telling aspiring entrepreneurs about the opportunities, challenges, and rewards he has experienced. He has also served as chairman of the advisory council for the Small Business Development Center at UNF. In 2012, Mr. Boyett participated as a panelist at the Small Business Leadership Forum sponsored by Jeff Atwater, CFO for the state of Florida.